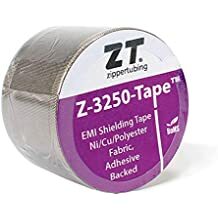 Ztt Alhtg - Ztt - Trade Names - ZT | Zippertubing Co.
ZTT® is a single-seam, tear-drop style, heat-sealed or sewn, tubular, pull-through jacket made from a vast array of Zippertubing's custom materials. It is an inexpensive way to cover single cables, small bundles of wires, or flat ribbon cables. 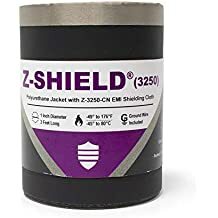 The ZTT® jackets typically provide a flexible, abrasion-resistant, neat, and secure encapsulation of whatever wire or cable application you may have. No special tooling is required to install these products on your specific application. ZTT® is supplied in reel form and custom colors may be available upon special request. Refer to Zippertubing's material data sheets for specific performance information. ZTT® (ALHTG) is intended to protect your cables, wires and components from abrasion, extreme heat temperatures and so much more. ZTT® (ALHTG) is ideal for cables from ½” to 7 7/8” in diameter, but can be customized to fit virtually any length or diameter. ZTT® (ALHTG) uses a jacketing material that is made from a heavy duty, thermal resistant woven fiberglass fabric, with a double coated, heat reflective aluminum/PET film coating. The ALHTG-65 jacketing material can withstand continuous temperatures up to 1650°F. The product is sewn in a tear-drop shape, using an “overlock-stitch” with an extreme high-temperature Kevlar thread that is reinforced with stainless steel wire. This specific Kevlar thread is considered one of the strongest threads on the market today—the steel wire core maintains its strength even after the silicon lubricated Kevlar has reached its maximum temperature. During the sewing process, the product is reinforced with stainless steel zipper stops in each corner of the jacket, which reduce abrasion damage during installation. Combining these high-temperature materials in one product produces a staggering 1202°F, durable, 360° thermal protection product that is the perfect choice for applications that require high temperature, pull-through, component, cable or wire abrasion protection.